Hannah absolutely killed the double denim look this season. She broke up the blue hues with black and different shades of denim. And let me add that Its every girls dream to be able to pull of a pair of VB jeans. Fringing is a huge trend this Spring/Summer and mixing fringing with leather is a great twist on what its normally seen on – suede. I love how Emma has attacked the Monochrome tend but adding a huge bold colour to make this outfit really stand out. Notice how Sandra allows you to see her bra underneath her top. Such a great touch for a two piece. Sleeveless coats are going to be huge, what with the transition between it getting hotter to it still being chilly. Its perfect! 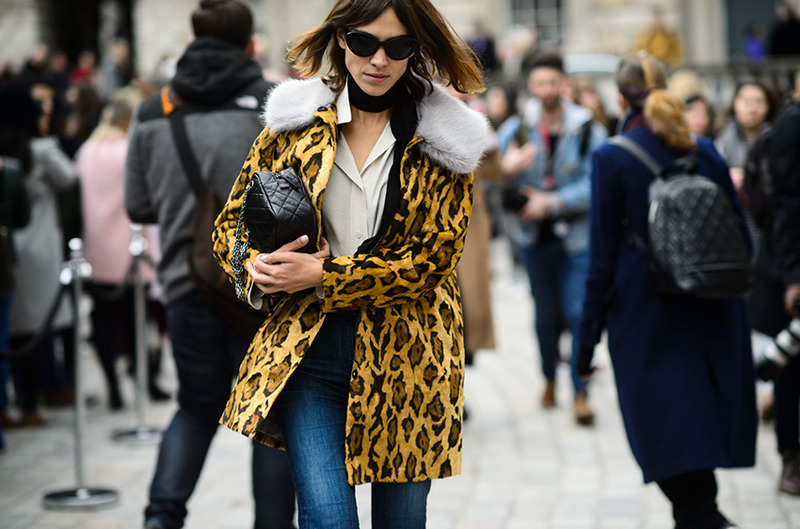 With the 70s being ‘bang’ on trend this Spring/Summer you have to have a skinny scarf in your wardrobe. Asos do a great one for only £8. If Chung does it, you have to do it. And its a great way of hitting the trend if you don’t feel comfortable going all out on the 70s trend. Sarah does High Street so well, and these Aldo boots are a great example. I love the lack of colour to this outfit in the streets of London paired with the fresh bright whites. So don’t put your boots away just yet. Get ready to wear them with skirts, dresses and shorts. We saw them at New York, Milan and we will 100% see them around Paris fashion week. Its a trend I’ve not tested but Im going to for sure. 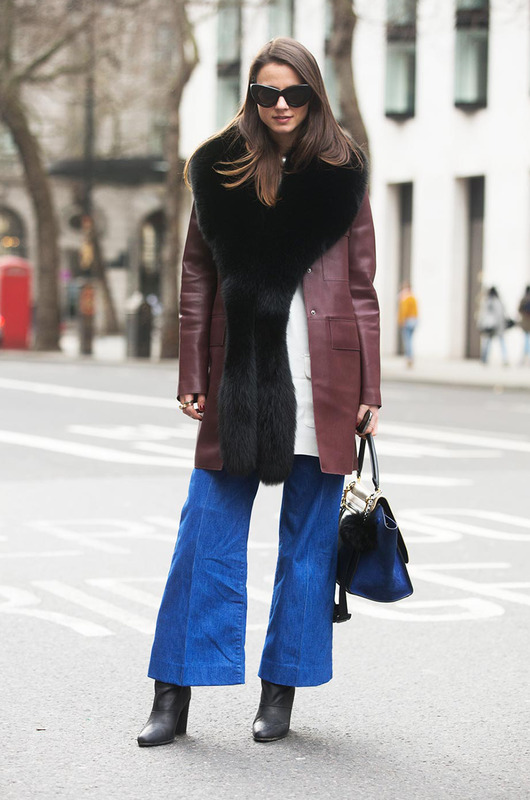 Mix denim with leather and faux fur to add different textures. Im a little disappointed with the lack of Street Style around at LFW. NYFW and MFW seem to be filled with street style, bombarding the screens but LFW just seems to be getting lost in the mist of things.